If you want something different than Kit Kat Chocolate and Cadbury chocolate. 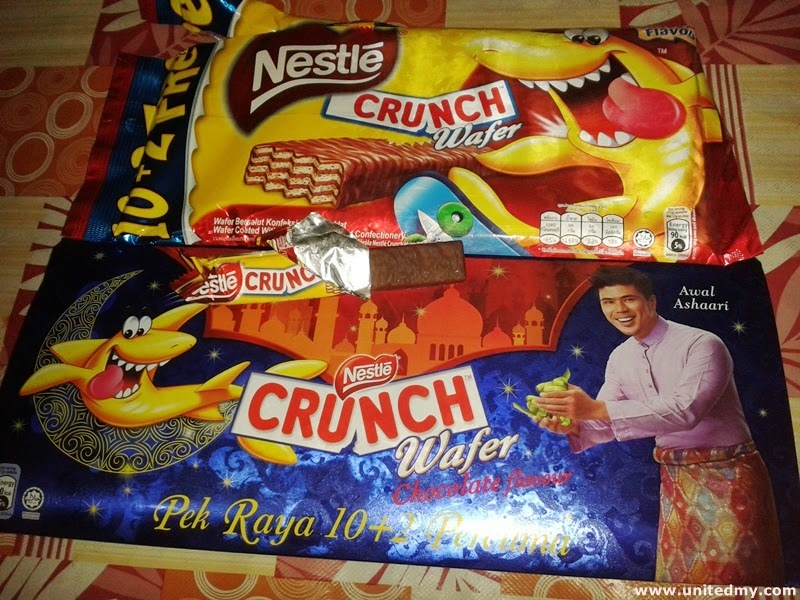 Nestle Crunch Wafer is definitely must on your chocolate list. Nestle is popular brand in Malaysia they are widely known for manufacturing household milk "Milo" . Nestle newest product is the able-to-be fried ice-cream . Malaysian power couple, Awal Ashaari and his wife blessed having baby this year. Fans were anticipated and eagerly for them to upload baby photo. Due to confinement period of 44 days, they were unable to upload baby photo to their fans. Awal Ashaari and his wife previously uploaded baby finger rather than full image exposed to their millions of fans about their newborn. Nestle Crunch wafer has unique and tasty chocolate flavor. You should expecting a Nestle-like chocolate completely coating crunchy wafer.